One of the most stunning but least known stretches of American coastline, Flattery Rocks in Washington, north-western most of the United States, is nothing short of a revelation. Many of the rocks here are stony outcroppings uncovered when the tide is low. 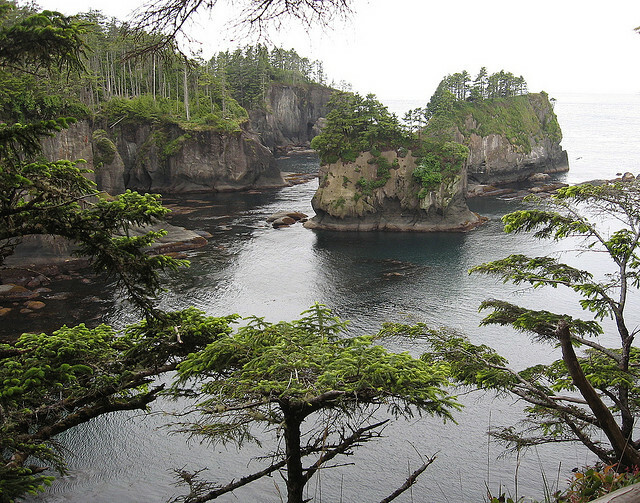 Others, however are lofty pinnacles scattered with salal shrubs, salmonberry and conifers.